One of the coolest things I did so far this year was teaching Dynamo to engineering students at Bergen University College. I used the same exercise that I taught world leading digital design specialists at Autodesk University in Las Vegas late in 2014: The atrium roof of the Smithsonian Museum of American Arts in Washington DC, that Zach Kron helped me develop. I really like that design example, and was thrilled that many of the 68 students managed to follow. 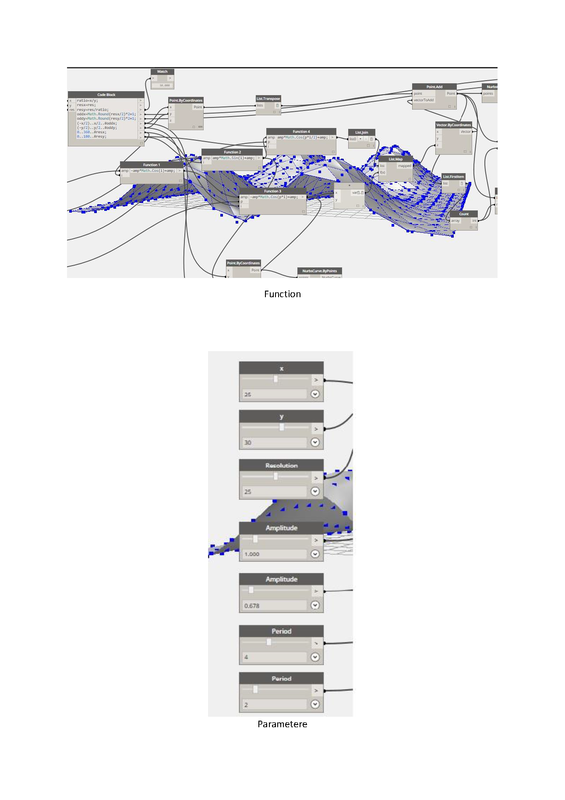 Which is rather spectacular, as none of them had ever heard of visual programming before, and few were proficient Revit users. After a day of lecturing the students received an assignment that they would solve themselves. Although the assignment was vague and similar to the lecture material, I impressed by the creativity and skills shown by a majority of the students. One interesting thing about “Norskehesten” is that it has a peculiar quality of looking quite similar from different orientations. I see many opportunities for my design. Maybe it is a roof over an atrium (preferably square), or it is a sculpture, or maybe it is a stand-alone building, only missing some walls. Roof structure based on cosine functions with half periods. This entry was posted in Rant and tagged Dynamo, Education on May 30, 2015 by Håvard Vasshaug. How do you learn to play the piano? You learn the basics, find a YouTube instructor, and practice a melody that you like. That’s how I do it anyway. How do you learn computer software? You learn the basics, and find a problem that you love solving. That’s how my son learnt how to ski. It has to be fun. And now I play Bach. Because I think its awesome. I recently hosted a whole day Dynamo lab for engineering students at Bergen University College. 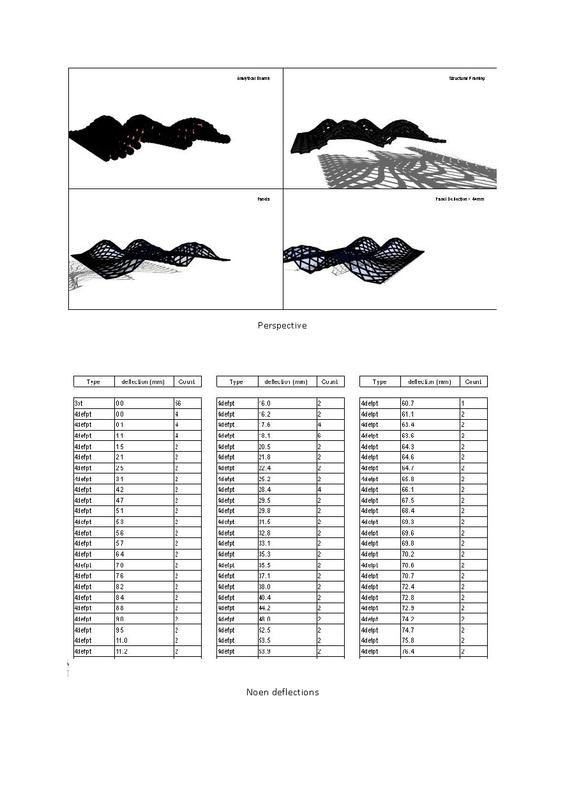 The curriculum that I used was a developed version of material I presented in 2014 with Julien Benoit at RTCEUR, and solo at Autodesk University (AU) 2014; Computational Logic in Structural Design. The math and script was developed last summer, with much help from Zach Kron. The structure was inspired by a question I got from a colleague during a Computational Design workshop at Dark: “Dude, have you seen the Smithsonian”? Voilà; I had a problem that I loved to solve. Now, 64 students in Bergen have learnt how to mathematically model the roof of the Smithsonian American Art Museum atrium roof in Washington DC. 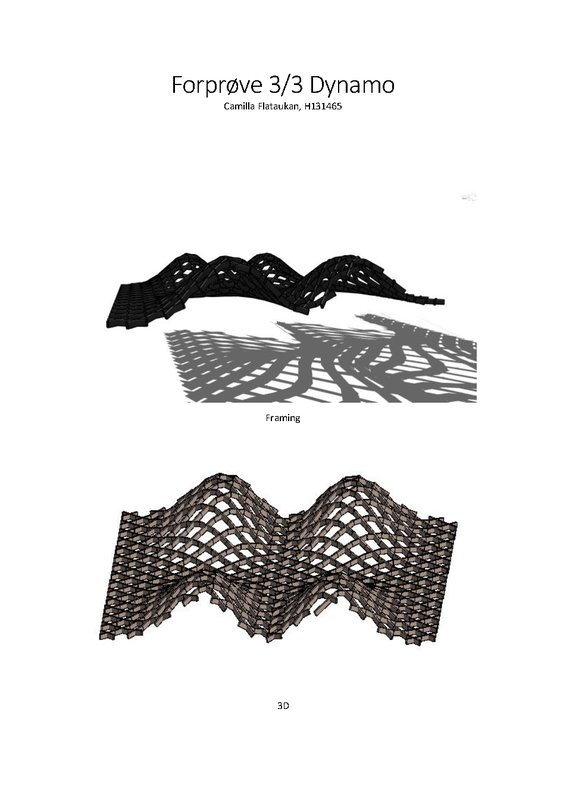 After AU I expanded the example with more Structural Framing diagonals, analytical model information and Robot integration. Instead of writing new or revising documents to supplement the live labs, I decided to record short and fast video tutorials and post the on YouTube. 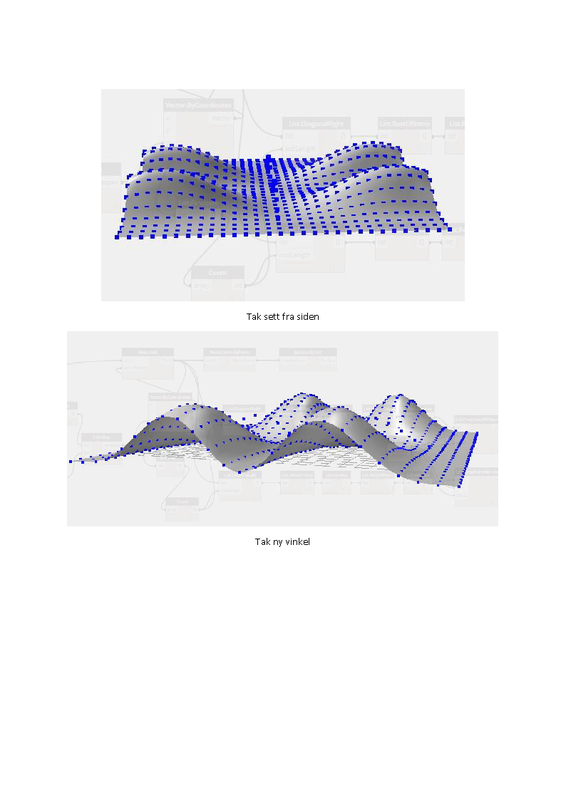 In the future I hope to expand the curriculum further by applying more analytical data (Loads, Load Combinations, Boundary Conditions, Calculations, Results Management, Analytical Visualization, and so on) and perhaps genetic algorithm optimization techniques (Galapagos, Optimo). I’d be very interested to hear if you have ideas to ways this problem, and it’s solutions, could be enhanced. 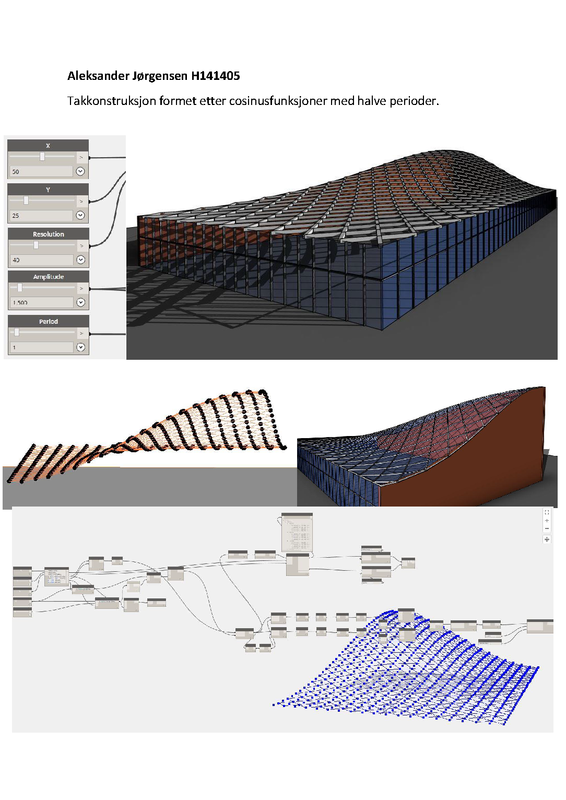 Create a Dynamo script that generates a roof of steel beams based on a trigonometric function. The example below is based on a sine curve between 0 and 180 degrees. 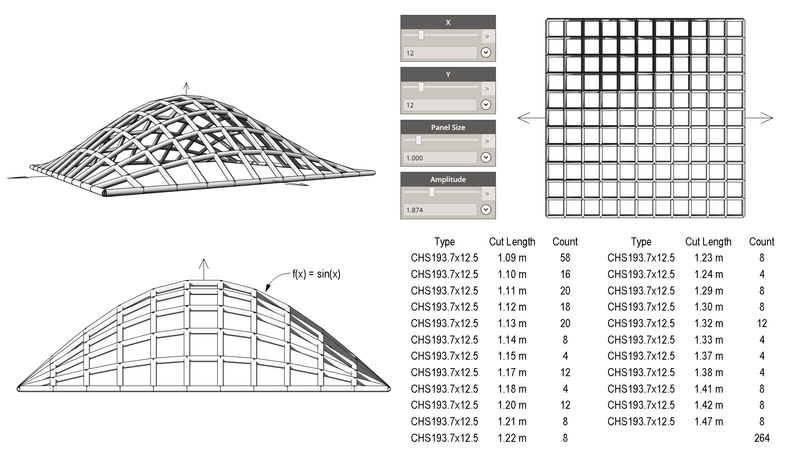 The structure must be parametric in length, width, height and grid. Present the results in an inventive way. 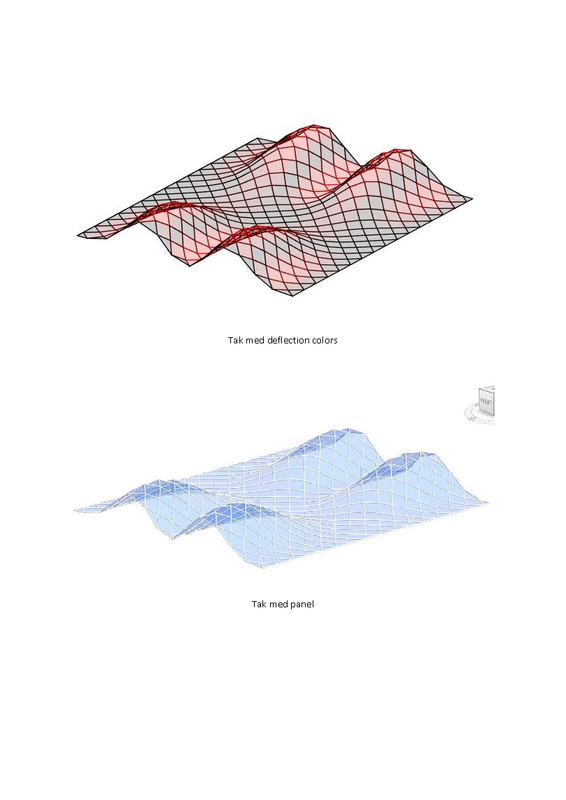 This entry was posted in Value and tagged Adaptive Components, AU, Computational Design, Dynamo, Education, Passion, RTC, Training on March 25, 2015 by Håvard Vasshaug.